[Sept. 5, 2018]–Allagash is returning tonight for another Tap Takeover at Wildwood Barbeque in Hadley, Massachusetts, beginning at 5pm. And, as usual, the lineup is impressive, eight beers in all, including regulars White, Black, Tripel, Saison and Hoppy Table Beer. Enough to make anyone happy right there, but there are also these outliers: Two Lights, a brew made with Sauvignon Blanc wine must and fermented with champagne and lager yeast; Cultivé, a wheat beer aged on peaches, and Florette, a Belgian-style red ale made with honey and tinged with hibiscus flowers. And, as usual, there will be giveaways, raffles and prizes to go with the brews and BBQ. The Map 40 will not be there, nor will I, since softball playoffs have interceded. Good news bad news there. 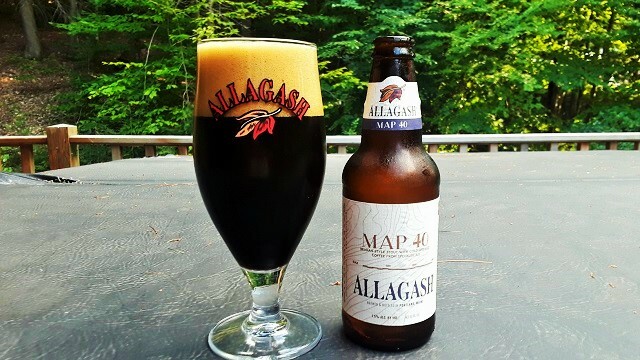 I was looking forward to bringing a Map 40 to sample alongside the usual Allagash Belgian-Style Stout, the Black. The beers are clearly different—the malting profiles are different as are the yeasts—but it would have been interesting to ponder any similarities. 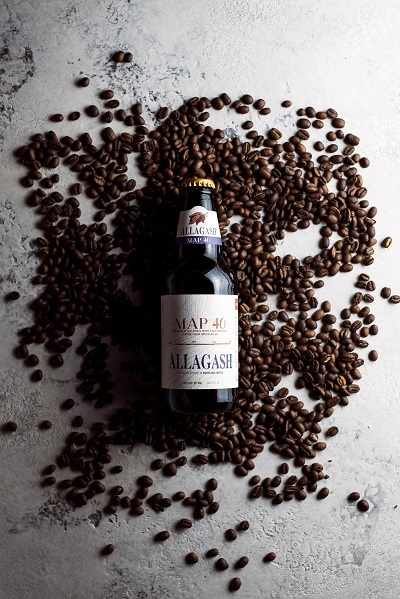 I first had the Allagash Map 40 back in February and in an unwonted burst of prose on “Untappd” said, “Guess I shouldn’t be surprised, but this is one of the best coffee stouts I’ve ever had.” The lack of surprise is because Map 40 comes from Allagash, one of the most reliable breweries going in terms of producing delicious beer, and one of the most successful in terms of its ongoing experimentation. This one is from their seemingly unending series of Limited Releases. No complaint there, except that the limit sometimes arrives too soon. Map 40 was released in January, but I did find a four-pack in a store just this week. My opinion of it is unchanged, and indeed Allagash says the beer should remain in fine fettle for a year. What appeals to me about it? Its restraint and balance. A creamy coffee profile is immediately apparent in the nose. But it’s hardly overpowering, mixing with nutty grain notes from the roasted, chocolate and brown malts used, maybe a whiff of brown licorice. The beer is hopped with Chinook and Northern Brewer, though the hop aroma and flavors are muted in the overall mix. The beer is opaque with a creamy tan head, and the mouthfeel is equally creamy, the flavors of coffee heightened with notes of chocolate, raisins or dates mixing together in delightful fashion, with a light but lingering tannic bite that seems just right. The beer is named after the coffee blend made by Matt Bolinder of Speckled Ax in Portland, which roasts its beans over wood. For the coffee nuts in the house the Map 40 blends comes from three Ethiopian coffees (Limu Burka Gudina, Guji Shakisso Farm, Banko Gotitit Natural) and one from Papua New Guinea (A/X smallholders) in three varieties of roast. I’ve never caught the cold-brewed coffee bug, but it sure works here in the beer. 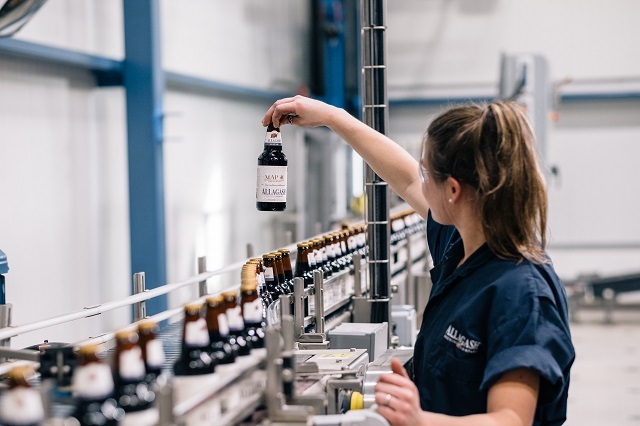 Allagash took 430 pounds of Speckled Ax beans, ground them at the brewery and then cold-brewed it, resulting in about 20 barrels of coffee. The beer was then brewed, fermented with a Trappist-style yeast and blended. 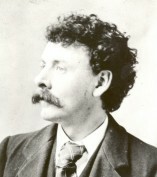 The topographical map on the label refers to The Forks region in northern Maine where the Kennebec and Dead Rivers meet. It might be fun to drink the beer there, but anywhere will do. Availability: Limited release to 17 mostly eastern states and California, and Washington D.C.